Villeroy&Boch tiles let the Düsseldorf Vabali Spa shine in fresh shades of blue and turquoise. 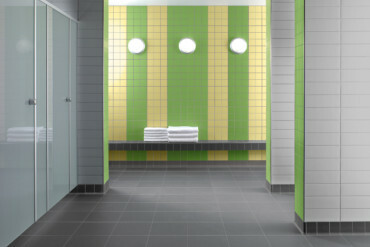 The client Theune Spa Management has chosen tiles from Villeroy&Boch's "Pro Architectura" series for the 180 square meter pool. 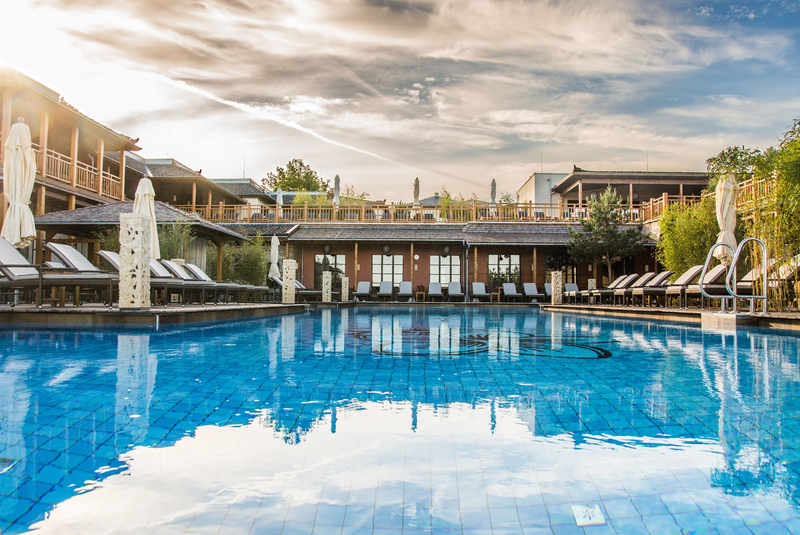 A piece of Bali is located on the Lower Rhine: The Vabali Spa in the east of Dusseldorf on 20,000 square metres looks like a holiday resort on the Indonesian South Sea island. 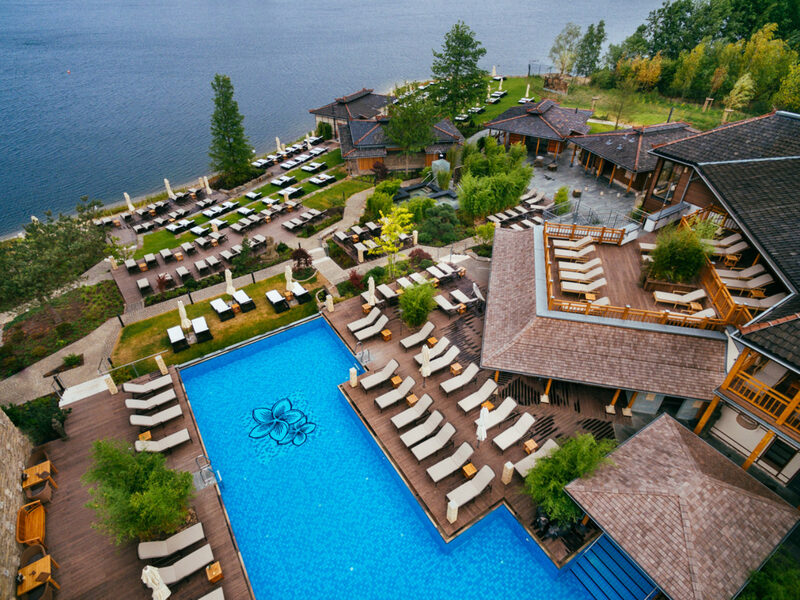 Ten saunas, a dry sweat bath, two steam baths and numerous relaxation rooms in small wooden buildings with bamboo terraces offer a wide range of relaxation in the premium landscape of the outdoor area. In addition, visitors to the premium sauna landscape can enjoy the panorama of the Elbsee. In order to create a diversified pattern, the decision was made to use 10 x 10 cm glazed porcelain stoneware tiles with a matt surface. 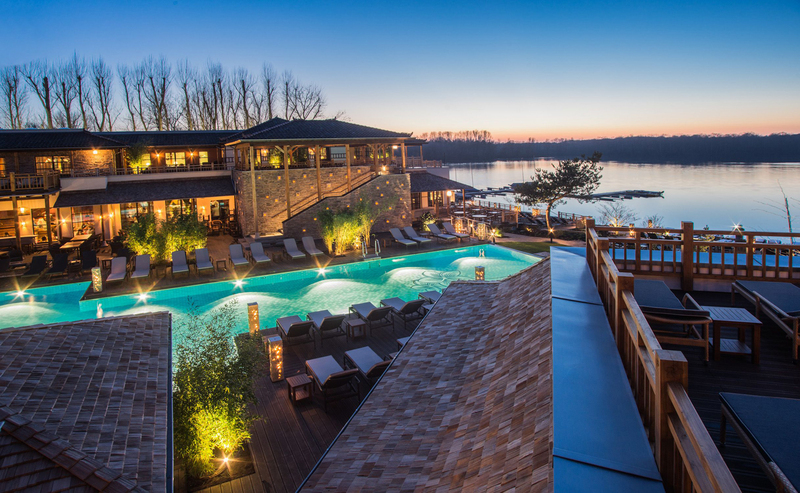 The Vabali Spa in the east of Dusseldorf on 20,000 square metres looks like a holiday resort on the Indonesian South Sea island. 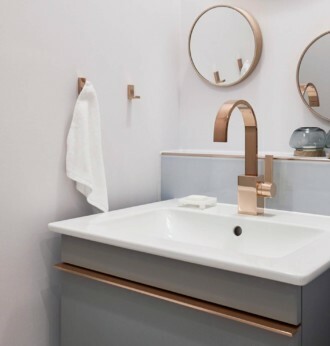 The bathrooms attached to the “Modern Serenity” suite at the Radisson Blue Hotel in Frankfurt have been given that extra edge using Villeroy&Boch products. 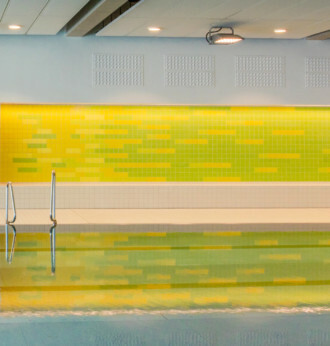 The ceramic color and format system “Pro Architectura” from Villeroy&Boch Tiles was used to create a mural of mosaic tiles for Ingolstadt’s new aquatic center.